When you consider what makes someone a safe motorcycle rider, many things come to mind—and experience and training are chief among them. At Snyder's Riders, though, we believe that being a safe rider also means being prepared, especially if the worst-case scenario happens and someone is injured in crash. It's unpleasant, and we may not want to think about it, but thousands of motorcycle accidents happen in Pennsylvania each year. In 2015 alone, more than 3,300 motorcyclists were injured and another 179 were killed in crashes. We all know practicing safe-driving habits will help prevent motorcycle crashes—and that sometimes, no matter how careful you are, accidents still happen. 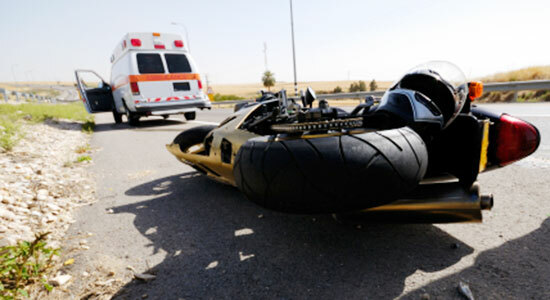 We want to ensure you know exactly what to do if you, a passenger, or fellow rider is injured in a motorcycle accident. 1. Collect and record as much information as you can. After a motorcycle accident, take photos of the accident scene, as well as all vehicles involved. Also remember to take photos of your injuries. Get the names and personal information for all drivers and witnesses. Call the police and ask that an accident report is completed. Remember to get the name and contact information for the department that responds so you can obtain a copy of the report if you need it moving forward. Write down what you can remember from the moments leading up to the accident—make sure you include what the road and/or weather conditions were like at the time of the accident. Once you've reported the accident to the police, you must also report it to your insurance company as soon as possible. However, when you speak with your insurance agent, do not give a statement, and do not agree to sign off on any paperwork. Although you pay for insurance, your insurance company sadly does not always have your best interest in mind. If they ask you for a verbal or written statement, you are perfectly within your rights to politely decline. We recommend you always call an experienced attorney before consenting to any recorded message. 3. Don't talk to the other drivers' insurance company. To be more specific, don't provide a recorded statement (it can be used against you if you later file a legal claim), don't give them medical authorization, don't agree to meet with an agent, and don't attempt to settle any claims by yourself. Insurance companies often try to force motorcycle accident victims into accepting low-ball settlement offers. After a motorcycle accident, locate and read over your insurance paperwork. Keep this in the same place as your other accident-related information like the police report, and the contact information for all other involved drivers. If you're confused about your policy, contact an accident injury attorney to help you make sense of it. 5. When in doubt, call an experienced attorney. When you've been seriously injured in a motorcycle accident, the last things you should have to worry about are insurance policies and legal deadlines. If you have any questions about your case, don't say anything and don't sign anything before you have the opportunity to seek the advice of an experienced motorcycle injury attorney. If you're not yet a member of Snyder's Riders, join today. You'll receive a welcome kit, and have exclusive access to a motorcycle insurance review from one of our experienced attorneys.